During the final stages of production, the Producers stepped up their search for the film's Narrator. A lot of names were discussed, but of paramount importance was not just the acting credentials, but the voice itself - for it had always been the desire of the Director to find the right voice to enable the narrated poem to resonate with audiences across the world. 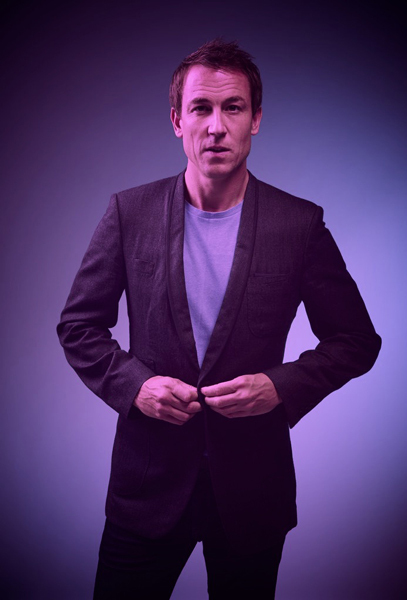 Then during his reading of The Iliad at the Almeida Theatre, Tobias Menzies's powerful performance caught the eyes and ears of the Director and the Producer - both of whom believed Tobias would be perfect as the Narrator for The Velvet Abstract. So once the film wrapped, the Producer began the process of casting Tobias as the film's Narrator. The Producer worked hard on a deal with his agency for two months, and agreed a deal for his services. Upon reading the script shortly after, Tobias pledged his commitment to the role of Narrator for The Velvet Abstract. The narration recording was booked at Studio 4 of Silk Sound, Soho, London. Tobias's professionalism, and aptitude for delivering a line, was evident at the top of the recording session. Working with the Director, and Dubbing Mixer, throughout the two hour session, Tobias honed the stanzas of the poem, and added his own beautiful nuances to deliver an extremely powerful narration for The Velvet Abstract. We are now sharing his stunning performance in the The Velvet Abstract with audiences across the film festival circuit.